It is difficult to say how much innocence remains in us and it is hard to know if we are capable of make a fool of ourselves intentionally. It’s about foolishness. It’s about us playing childish games without playing the kid. It’s about being anyone but yourself (not pretending to be a character but becoming one). It’s about power, leadership, friendship, jealousy, cruelty, discovery… It’s about playing doing it over and over again for hours on end. It’s about me saving you or me being saved by you. It’s about tales and fears. It’s about our ferocious imagination. It’s about your tree house, your castle, the secrets that you’ll share. It’s about us skipping down the lane, climbing and stumbling on the stairs of heaven, crying out loud and trying to catch our breath. It’s about you and your invisible friend or you being the narrator of your own story inside a landscape that extends beyond possibilities. Ultimately, it’s about what we do before anything happens, before we start to behave, before we become conscious and before we lose our innocence. French-born Philippe Blanchard, started choreographing in Sweden in 1993 after ten years of dancing for world-famous companies such as Nederlands Dans Theater, Batsheva Dance Company and the Cullberg Ballet. 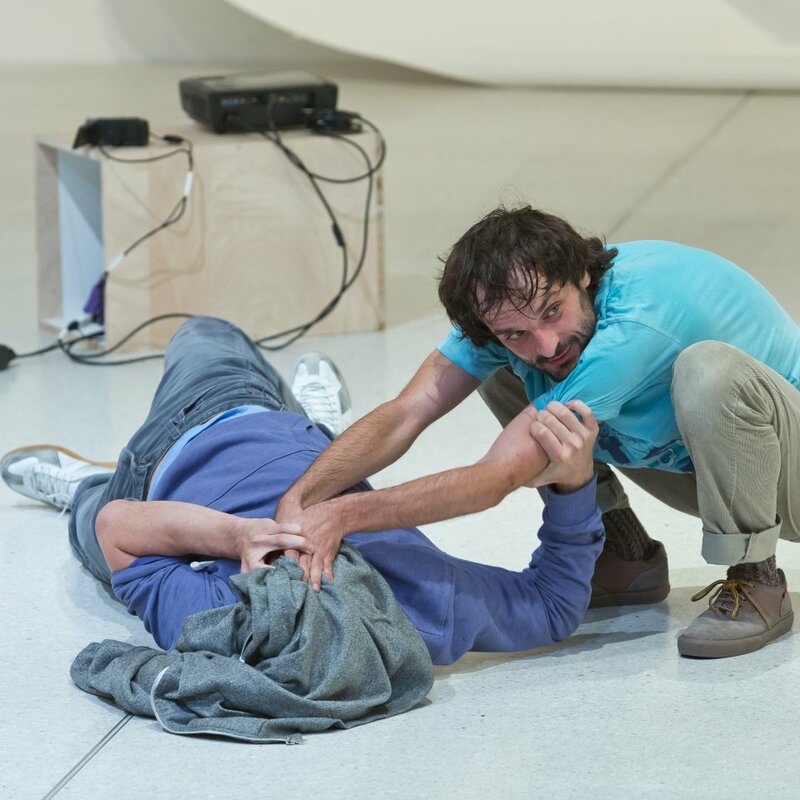 Since then has intensely created both independent and commissioned performances at the forefront of Swedish contemporary dance, his works developing into installation-like studies of human behavior and relationships. Suggesting rather than telling, Blanchard’s finely layered pieces address the creative potential of each viewer by making room for interpretation, uncertainty and wonder while consistently providing subtle details to rely on. An adventurous artist daring to explore unknown subjects and methods, he develops his expression in a continual process of investigation where every project is bound to its own rules while moving consciously forward from the previous one. In 2000, Blanchard formed ADEKWHAT, a flexible organization based in Stockholm designed to respond to projects and collaborations within the performing arts. With “Noodles” (2001), Blanchard established himself as an unpredictable and thrilling artist. After touring both in Sweden and internationally for 3 years, he gradually navigated onto more experimental ground. 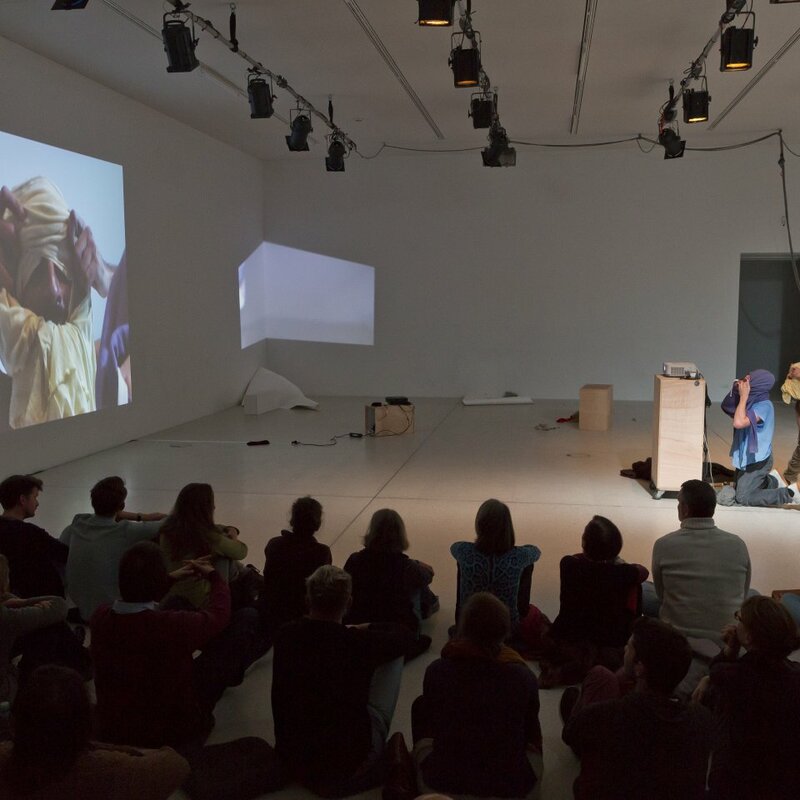 In 2003, Blanchard initiated collaboration with UK performer Gemma Higginbotham, which resulted in three co-created works: “Too much night ego” (2005), “One’s a company, two’s a crowd” (2006) and “Bits of Bob’s Life” (2008). His latest independent production “How About You?” (2010) focuses on the search for oneself in the other. Co-created with Italian filmmakers the Stifani Brothers, the piece unfolds as a journey through images of intimacy, rejection, celebration, and loss. In April 2013, Blanchard created a piece in collaboration with Swedish choreographer Björn Säfsten for Malmö’s Skånes Dansteater. The autumn will see a new collaboration with the Stifani Brothers explore the subject of appearances and the elusive aspects of identity. Premiering at Dance City in Newcastle, UK, on September 21st, the piece will go on to Dansens Hus in Stockholm and Inkonst in Malmö. Artistic direction / Choreography: Philippe Blanchard. 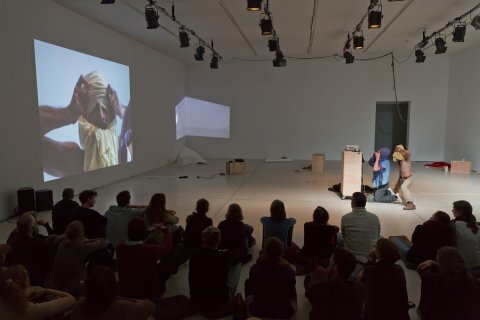 Performance: Andy Zondag and Roger Sala Reyner. Dramaturgy and Light Design: Maika Knoblich. Sound design: Adrian Schull. Costume and props design: Christina Neuss. General management: Kristian Anshelm. Production management: Eliana Oikawa. Produced by: Adekwhat | Philippe Blanchard. Co-produced by: Theater im Pumpenhaus/ Münster, Inkonst/Malmö, Dance4/Nottingham. With the support of: Wp Zimmer/Antwerp, The Point/Eastleigh, Westfälischer Kunstverein/Münster and South East Dance/Hextable. Adekwhat | Philippe Blanchard is supported by Swedish Arts Council, The Swedish Arts Grants Committee, The city of Malmö and the region of Skåne.